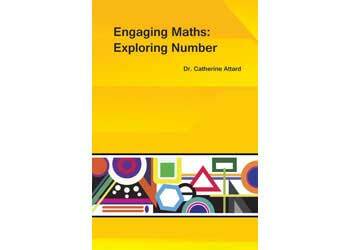 This book ‘Engaging Maths: Exploring Number’ presents a collection of 10 rich activities that address aspects of the Number andAlgebra strand of the Australian Curriculum: Mathematics. More importantly, the activities areunderpinned by the processes of mathematics described in the proficiency strands of thecurriculum. Each of the activities is supported by detailed ideas for implementation, reflection,assessment, differentiation and curriculum links. Something that sets this book apart from other teacher ‘resource’ books is that its prime purposeis to enhance the teaching of mathematics rather than focusing purely on learning. By using thisbook as a professional learning tool, not only will your teaching be enhanced, your students’learning and engagement will also benefit as a result. It is hoped that the structure of the book willhelp you, the teacher, to reflect upon your current practices and find ways of adapting the thingsthat already happen each day in your mathematics lessons. The book includes resource lists, curriculum links, implementation ideas, reflection starters, ideas for differentiation and blackline masters for students. It is suitable for Foundation to Year 6.